DIGI forming ascending triangle pattern? 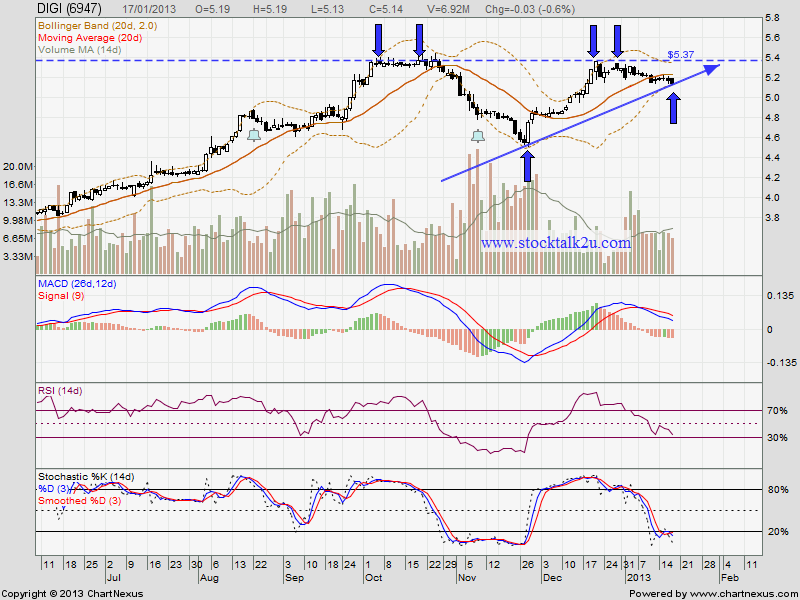 Will it break through RM5.37 resistance? Stochastic %K at oversold stage, pending trigger buy call. High probably it might retrace down to MA50 support level. Subsequent resistance @ RM5.37 level. DIGI will announce their Q4 result soon. 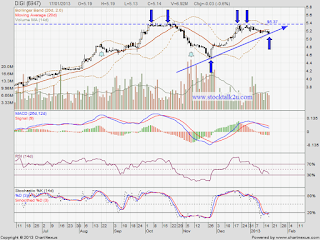 Else, it might consolidate side way or retrace down retest support.